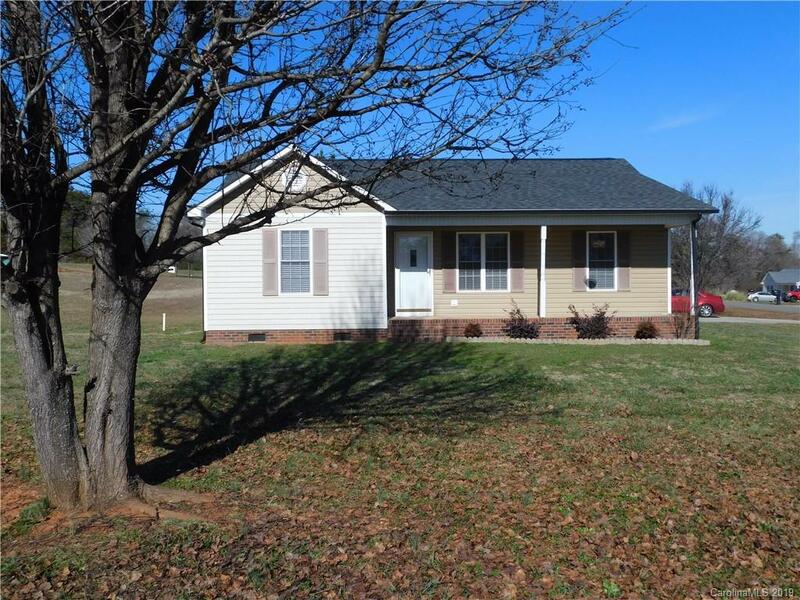 ATTRACTIVE ranch with many updates - kitchen cabinets, appliances, sofstone counter top & tile backsplash, farm sink and faucet. Baths have new tile floors, vanities and towel racks. New carpet and vinyl plank flooring in all other rooms. New 2 inch blinds throughout stay. 10x10 rear deck and 25x5 covered front porch. Concrete has side entry and idea for future carport or garage. Private well and septic tank. Stove, microwave, dishwasher & refrigerator stay, as well as washer and dryer in laundry room. Just move in!